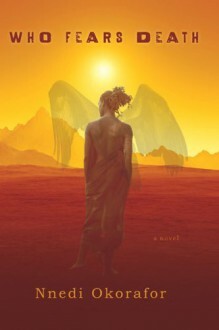 Read Nnedi Okorafor's posts on the Penguin Blog. An award-winning literary author presents her first foray into supernatural fantasy with a novel of post- apocalyptic Africa. In a far future, post-nuclear-holocaust Africa, genocide plagues one region. The aggressors, the Nuru, have decided to follow the Great Book and exterminate the Okeke. But when the only surviving member of a slain Okeke village is brutally raped, she manages to escape, wandering farther into the desert. She gives birth to a baby girl with hair and skin the color of sand and instinctively knows that her daughter is different. She names her daughter Onyesonwu, which means "Who Fears Death?" in an ancient African tongue. Reared under the tutelage of a mysterious and traditional shaman, Onyesonwu discovers her magical destiny-to end the genocide of her people. The journey to fulfill her destiny will force her to grapple with nature, tradition, history, true love, the spiritual mysteries of her culture-and eventually death itself. This was definitely an experience, though I admit I couldn't get into it as much as I'd hoped. The book wasn't enjoyable, exactly, but definitely worth the read. Such a good, satisfying and quick read. While it is fantasy, much of it is grounded in reality-as the blurb on the back of the book says. I loved Okorafor's voice, the fierce and unrepentant feminism in her characters, and I look forward to watching her create more compelling stories.